Did you know that tea is one of the most popular drinks in the world? In fact, over one half of the American population drinks tea on any given day, according to the Tea Association of U.S.A. Inc.
Why such a love affair? One reason could be that it’s so easy to find! Many restaurants and retail shops serve up premium varieties, while grocery stores, convenience stores and even vending machines offer bottled tea. >> FACT: “Over the last ten years, Ready-To-Drink Tea has grown more than 15 fold. In 2012, Ready-To-Drink sales were conservatively estimated at $4.8 billion and this trend continues in 2013.” Source: Tea Association of U.S.A. Inc. 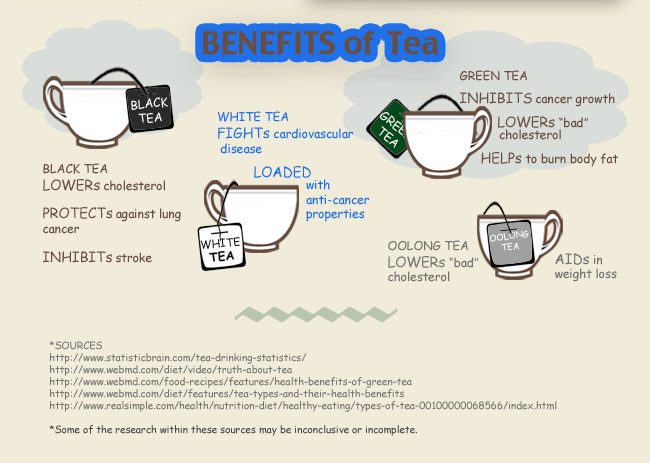 Tea can also be good for you. Several teas, in particular white, black, green, and oolong teas, have antioxidants which some research suggests can help your body fight diseases like cancer. Whichever type of tea you like, drink up. It’s good for you! *Note: Source Healthland.time.com, 13 Reasons Tea is Good for You. Some of the research within this source may be inconclusive or incomplete.